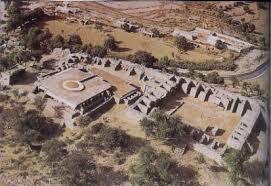 The world’s first University was established in Takshila, India in 700BC. More than 10,500 students from all over the world studied more than 60 subjects. The University of Nalanda built in the 4th century BC was one of the greatest achievements of ancient India in the field of education. The world's first University was established in Takshila, India in 700BC. More than 10,500 students from all over the world studied more than 60 subjects. The University of Nalanda built in the 4th century BC was one of the greatest achievements of ancient India in the field of education.